The INA181, INA2181,and INA4181 (INAx181) currentsense amplifiers are designed for cost-optimized applications. These devices are part of a familyof bidirectional, current-sense amplifiers (also called current-shunt monitors) that sense voltagedrops across current-sense resistors at common-mode voltages from –0.2 V to +26 V, independent ofthe supply voltage. The INAx181 family integrates a matchedresistor gain network in four, fixed-gain device options: 20 V/V, 50 V/V, 100 V/V, or 200 V/V. Thismatched gain resistor network minimizes gain error and reduces the temperature drift. These devices operate from a single 2.7-V to 5.5-V power supply. The single-channelINA181 draws a maximum supply current of 260 µA; whereas, thedual-channel INA2181 draws a maximum supply current of 500 µA, andthe quad-channel INA4181 draws a maximum supply current of 900µA. The INA181 is available in a 6-pin, SOT-23 package. TheINA2181 is available in an 10-pin, VSSOP package. 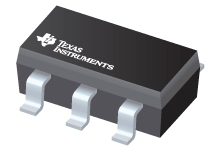 The INA4181 is available in a 20-pin, TSSOP package. All device options arespecified over the extended operating temperature range of –40°C to +125°C.